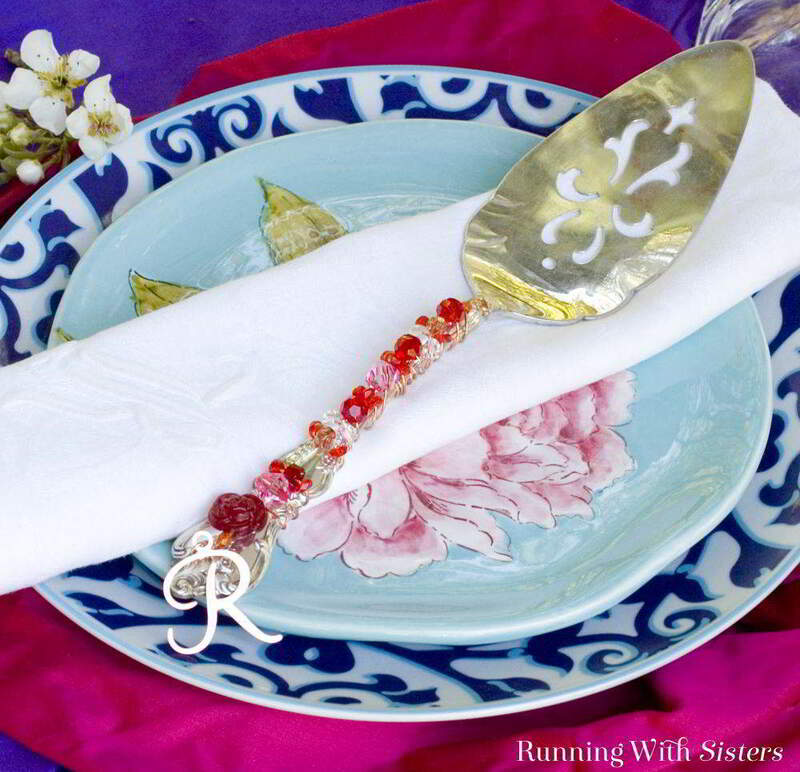 We love jewelry and that means on our serving utensils too! 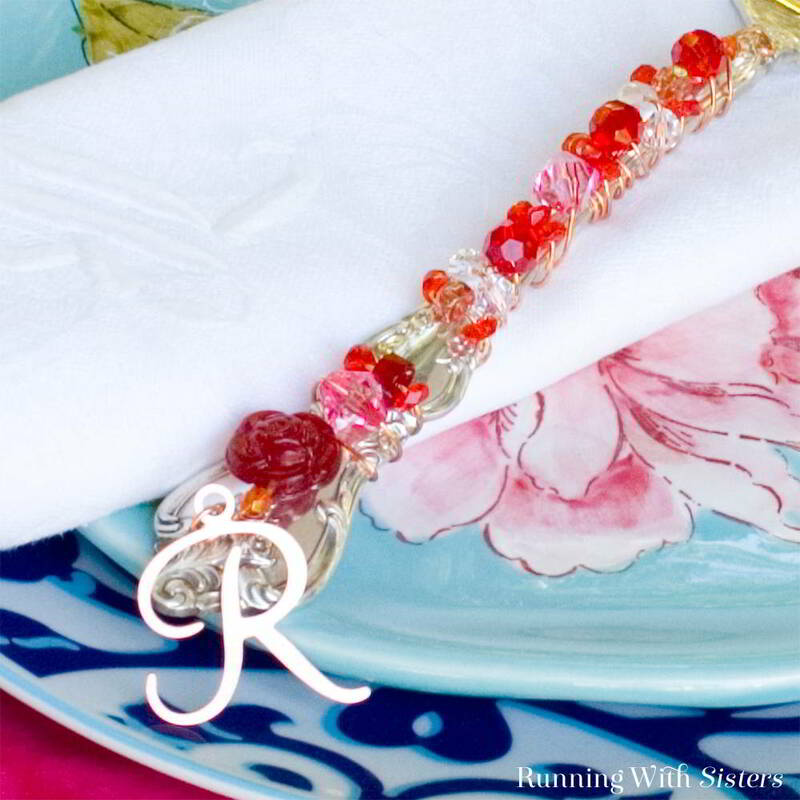 This is one of our favorite gift crafts, great as a personalized wedding gift or Mother’s Day gift. 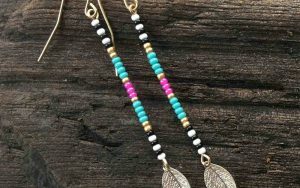 Choose a 15-30 beads in your color story. 1. Make a swirl shape at one end of the wire by bending the wire with the round-nose pliers. Press the swirl shape onto the handle of the pie server at the serving end. Hold in place with your thumb while you hold the serving utensil. 2. 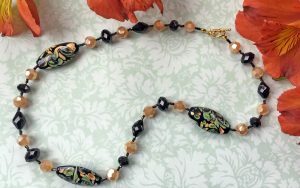 Slide an orange oval bead onto the wire. Slide it down to the swirl. Move your thumb so you are now holding the orange bead. Wrap the copper wire tightly around the handle one time. 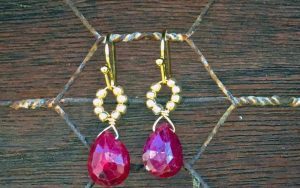 Slide an 8mm red faceted crystal bead onto the wire. Slide up next to the orange bead. Hold the bead against the handle and wrap the wire around the handle one time. 3. Continue sliding beads onto the wire. 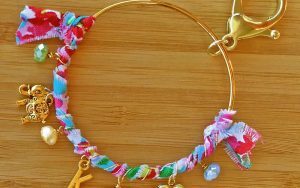 Slide each bead up and wrap the wire around the handle. 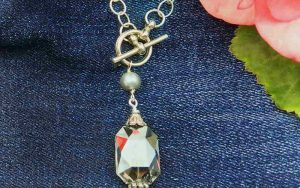 Use two or three of the smaller beads in place of one bead as you select the beads to go on the handle. Wrap the whole handle leaving one inch of handle showing at the end. 4. Feed the rose bead onto the wire. Then slid on an orange oval bead. Bend the wire 90 degrees above the rose bead so the wire runs sraight down toward the end of the handle. Twist a swirl into the end of the wire with the round-nose pliers. Trim any excess wire. 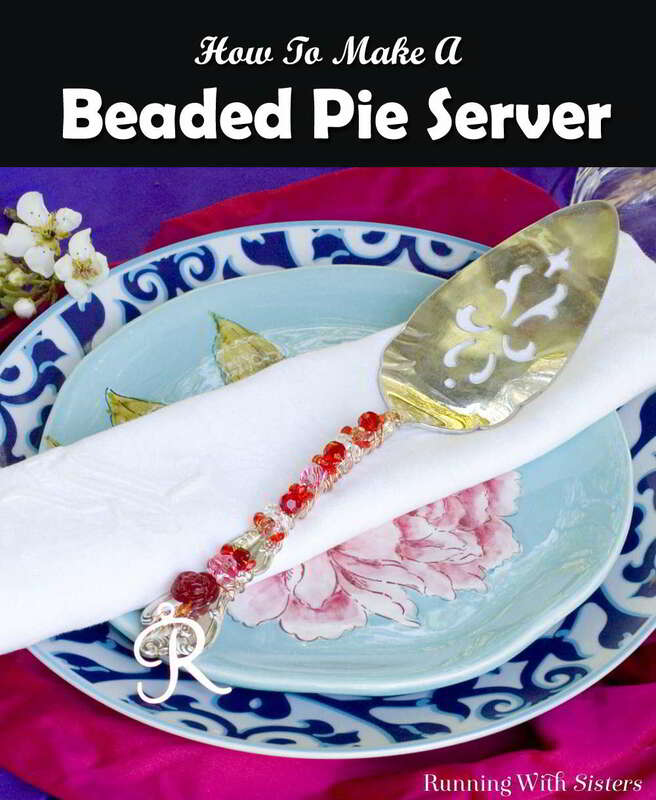 Optional: We personalized our Beaded Pie Server by hanging an initial charm on the end of the wire.